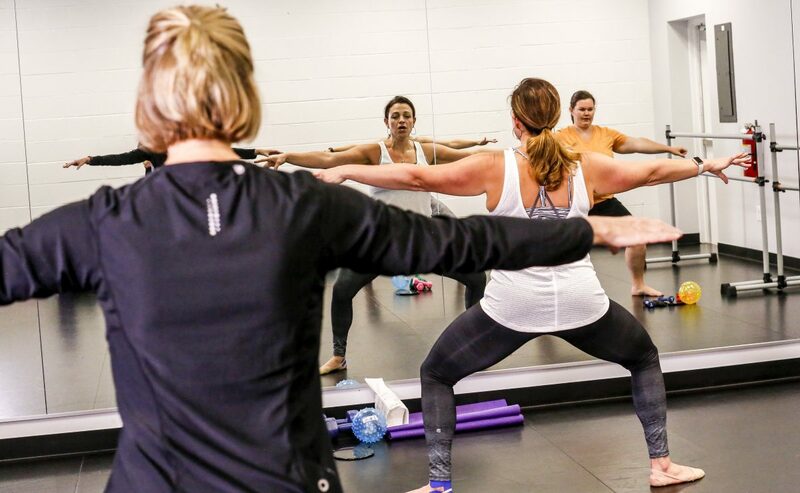 Appealing to both professionals and beginners, and everything in between, The Movement Studios offers an array of styles and levels to keep you moving. With regular drop in classes for adults, we will keep your technique strong while offering fun, challenging, and exciting classes from our team of award winning instructors. Our Adult Classes are geared towards anyone inspired to dance! Whether you’re a seasoned pro, just getting back into dance, or brand new to the art form, we’ve got some moves for you. Dancers will hone their skills and technique, while hitting the latest trends in hip hop and enhancing their performance quality, freestyle movements, transitions, and musicality. Dancers will focus on proper alignment, placement, and technique, while also enhancing their flexibility and artistry. Whether you’re brand new to ballet, moving back into the swing of things, or a seasoned dancer, this is a great class for you to strengthen your ballet foundation! If you are interested in taking a style that is not currently offered, please email Nicole@TheMovementStudiosDance.com to be added to our contact list.